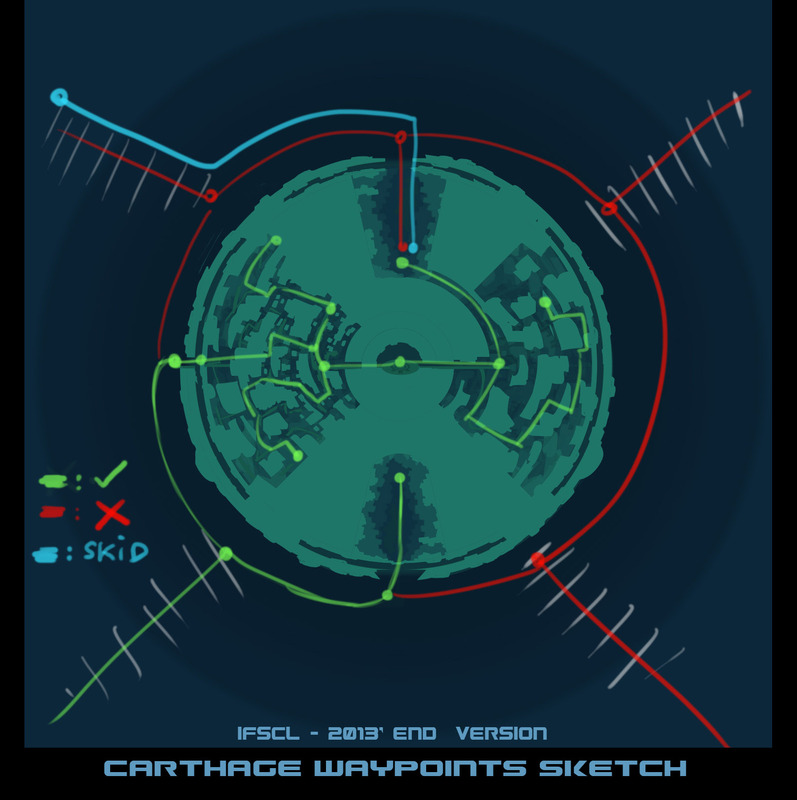 About the next version, how Carthage development is going. What you will see and what you won't. If IFSCL development didn't officially restarted because of planning and time issues, I still try to work again for some future additions to the game. Of course, this news spoiler more or less the fact that Carthage might be in the next version. So how it's going about Carthage ? Well, it's a tricky sector, and It involves a lot of things that weren't adapted for the game code, particulary the waypoint system that I had included. Because In carthage, you can actually make loops (when there is actually to doors to enter, like the garage skid). > Access to only one tunnel. > And hopefully, that's everything. Anyway, Immu's room code is for the next news. It will be released the next month. Thanks for the update Immu. Much appreciated. I wonder about monsters. I hope that scyphozoa will be in the next version. I'm not sure yet. I've advanced that part a bit yes, but still not complete. We will see.. I am interested in how sector 5 will turn out. Good Job!